When the season 4 in Fortnite appeared, it felt like Epic Games strongly followed the current craze of the heroes, especially Avengers. Now I know that the arrival of the new season wasn’t unfounded. 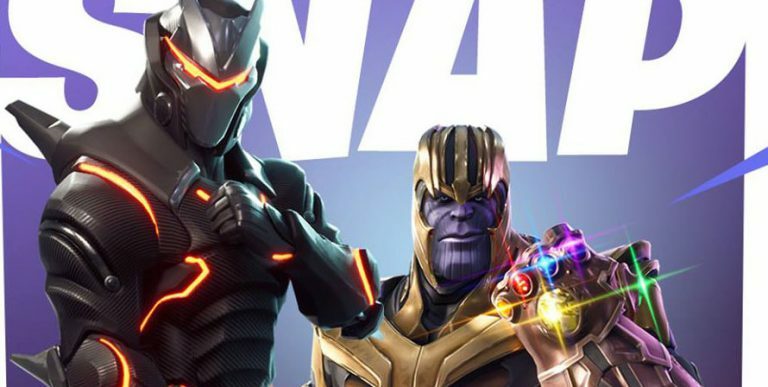 Marvels Avengers Fortnite crossover is coming – the largest in gaming history. Fortnite is the most popular game right now. The game is gaining more and more fans every month all over the world. The creators of the popular Unreal Tournament franchise went a step further and signed a contract with Marvel, thanks to which we will see the largest current crossover in the history of computer games. On May 8th, we will see the official Marvel Avengers Fortnite crossover. “Infinity Gauntlet Limited Time Mashup” will contain everything that’s included in the standard Battle Royale game with one exception – the Infinity Gauntlet will appear in the game. In addition, the gauntlet owner will get the power of all six Infinity Stones, and will transform into the Mad Titan Thanos himself! Over the past few months, while we were editing Infinity War, we’ve also been hoping to get a few games. And then we started thinking, how cool would it have some kind of Avengers-Fortnite mashup? I am impressed with the crossover, which will appear on the servers on May 8th. A new era in Fortnite history will begin. A new era of superheroes and villains! Whaaat?! This is like Christmas!